So you want to be a loan officer? Congratulations! Forbes and other magazines and news publications recently quoted a CareerBliss study that reported being a Loan Officer was the third ‘happiest’ job to have in 2015! Unless you are a School Principal (#1) or Executive Chef (#2), being a Loan Officer may be the way to instill, well, career bliss, into your life. How does a person go about attaining said bliss? And what does a Loan Officer do all day? 1. You'll need a License for That! After the ‘Mortgage Meltdown’ of 2007 and 8, the government passed The Secure and Fair Enforcement for Mortgage Licensing Act (the S.A.F.E Act). This law mandates a nation-wide licensing and registration system for residential mortgage loan originators (MLOs, also known as LOs or Loan Officers). Effective in 2011, the SAFE Act was transferred to the ever-popular Consumer Financial Protection Bureau (CFPB) for administration and enforcement. The SAFE Act was enacted in July 2008 to help create a national standard for residential mortgage originators but it actually just requires a national registration of LOs with some caveats. Loan Officers registered through Nationwide Mortgage Licensing System & Registry (NMLS) (and that is ALL Loan Officers everywhere, no matter for whom they work) must submit fingerprints for a state and federal background check, complete form MU-4 regarding their personal history and experience and obtain a unique identifier number they will keep for life. If the Loan Officer works for a depository institution (like Bank of America, Chase, Citi, etc.) this registration and its annual renewal is the only requirement – they need not be “licensed”, just NMLS registered. Current annual renewal requirements for an individual MLO license endorsement includes a renewal request/attestation filed electronically through NMLS, the appropriate renewal fees, and filing evidence of completion of 8 hours of approved continuing education (CE) every year! Yippee! Having NMLS registration is not the same as being a licensed Loan Officer. Mortgage loan originators employed by state-licensed companies are generally required to hold a state license to conduct business in that state. Mortgage loan originators employed by banks, credit unions, and other federally regulated depository institutions just must be federally registered in order to conduct business, and that registration is not limited to a particular state. To become a licensed Loan Officer, there are numerous steps to follow and fees to pay. These formerly and, in some cases, still vary by state. But in 2013, the Uniform State Test was launched. So far, approximately 80% of states accept these nearly-national test results, depending on your work status (new versus experienced), standing with NMLS (registered versus non-registered) and the color of your eyes – orange-eyed people are deemed ineligible in most states. As a Loan Officer in, for example, New York State, you may have been licensed in New York but encountered potential clients who bought homes in New Jersey, Connecticut, or Florida. You cannot originate mortgage loans for clients buying or refinancing properties in states in which you are not licensed. This test is making that licensing somewhat easier and less costly. Note one requirement that all licensing has – sponsorship. While it is highly likely that some registered and/or licensed Loan Officers are also card-carrying AA members, these do not necessarily go hand-in-hand. While both require sponsors, Loan Officer sponsors must be entities licensed in the applicable state (or the applicable federal institutions.) In other words, you cannot just decide to become a Loan Officer and take all the tests and start working tomorrow. Someone has to sponsor (read that hire) you first. Hmmm … a conundrum, a possible Catch 22, a dilemma? Quite possibly, yes. 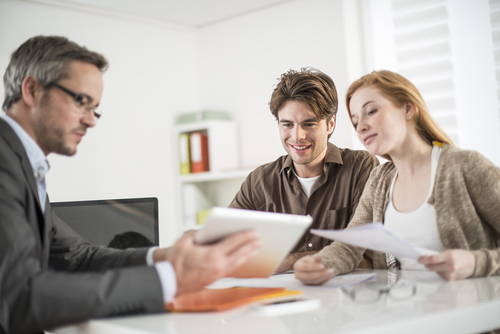 How can you get a mortgage lender or bank to hire you as an inexperienced Loan Officer? There are several ways to accomplish this. Here are a few. a) Rookie Programs (AKA Internships or Apprentices … not the Donald Trump kind) -- Some mortgage lenders and banks have wised up to the fact that the average age of a Loan Officer today is 50 something. Typically, people tend to like working with people who are like them. So a 30-year-old home buyer may prefer to work with a 30-year-old Loan Officer. In order to replenish their talent pool, so to speak, some lenders are offering Rookie Programs to people interested in becoming Loan Officers. The compensation, requirements, and terms vary widely, but nearly all require pre-hire testing. These tests (such as those offered by QFS Solutions, Winslow, Gallup University and many others) ask potential Loan Officers --not potential alcoholics -- several questions about their personality, sales ability, perseverance, etc.) to see if there is a good 'fit'. b) Career Pathing in a Financial Institution – Some successful Loan Officers started as bank tellers, working in the operations area of a mortgage company, as an assistant to a current Loan Officer, or as the CEO of a huge and internationally renowned hedge fund (kidding on that last one.) They may have skills and personality traits that are well suited to a career as a Lon Officer and their employer may be willing to sponsor them in that career change. c) Related Experience – I was formerly a college and high school teacher. When my Loan Officer brother first started discussing transitioning to the mortgage word with me, I was skeptical, to say the least. At the time, I was teaching Calculus and he said, “Okay, let’s think about this. You teach Calculus. Your students like you and often go on to great careers in math-related field. They don’t throw things against the wall, scream at you, and run from your class. You are already IN sales! You’re selling them the benefits of learning something most people will never understand.” I was also teaching a class on Logic then, so this made sense to me. Less drastic career transitions may be applicable to someone selling insurance, title services, or real estate. Or maybe you’ve interacted well with people in the military and will use the discipline you learned to devise effective sales strategies or business plans. Or perhaps you have superior technology skills and loads of blog followers, so you can capture ‘clients’ electronically. If a company believes you will succeed and will sponsor you, you’re half way there! In many cases, the “outside” Loan Officer is responsible for securing new clients via leads from Realtors, Financial Planners, previous customers, friends, neighbors, Attorneys, etc. S/he may be called someone with excellent front end selling skills. This Loan Officer may complete the application with his/her clients or may simply pass the lead on to a team member or partner who does not (necessarily or often) solicit for new clients. These teams might consist of a processor, underwriter, marketing specialist, assistant, etc. Or the ‘inside’ Loan Officer may specialize in calling or speaking to consumers who have inquired about a mortgage on a site like RateZip.com or from a lender’s direct advertisement. In some cases, the Loan Officer does everything – from getting the lead through closing the loan. Why the differences? Part of this is due to the specific strengths of the Loan Officer. Much of it depends on the employer – some employers do not allow assistants, some provide assistants, some have call center employees who work with the Loan Officer directly, some companies provide leads for mortgages to the Loan Officers directly, etc. And a lot of the structure has to do with the Loan Officer’s experience and tenure. Pre-hire testing may tell you which model works best for you. Or, consider asking several people who they used to obtain a mortgage and then ‘interview’ each of those people to see how their process works. You can find many of them at local AA meetings (NO!). 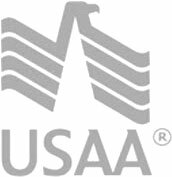 Loan Officers may originate Jumbo loans (those for large amounts) or FHA loans (those ensured by HUD) or VA loans (specifically for veterans), or Reverse Mortgages (for seniors), etc. Some of them “do it all” but more do not. The job of Loan Officer requires training, patience, certification, persistence, hard work, energy, financial savvy, social skills and so much more. But so do careers as School Principals or Executive Chefs! And one more LKF (little known fact). My company recently surveyed 50 top Loan Officers. At least one year in their career, 28% of them made over $500,000. An additional 33% of them made between $300,000 and $500,000. Ahhh, bliss.